After you've celebrated your Wedding Day with friends and family, it's time to focus on your first adventure as a married couple: the Honeymoon! Whether you're looking for a relaxing beach getaway or wanting to explore a cultural landscape, there are plenty of destinations that can make the perfect backdrop for your romantic travel experience. When planning your dream Honeymoon, MAE Owner Brianne Garritano recommends working with a travel agency if you intend to visit a remote destination. This will ensure the best possible experience including smooth, stress-free transfers, personalized excursions and the very best accommodations to meet your style, needs and budget. "It can be really beneficial to use a niche travel agency by location in specific regions around the world," Brianne suggests. For example, a travel expert in Southeast Asia has a completely different set of knowledge and resources than an agency specializing in safari experiences in Southern or East Africa. Do your homework and don't be afraid to ask around. Hawaii: Sandy beaches, blue waters, and year-round warm temperatures makes Hawaii the perfect destination for a September-March honeymoon. For lounging by the pool and soaking up the sun, Travel + Leisure recommends resorts such as the Grand Hyatt Kauai Resort and Spa and the Four Seasons Resort Maui at Wailea. This location offers equal parts relaxation and adventure: roam around the Hawaii Volcanoes National Park, stroll where dinosaurs stomped in "Jurassic Park" in Manawaiopuna Falls, or kayak down the Huleia River to take in some lush scenery. 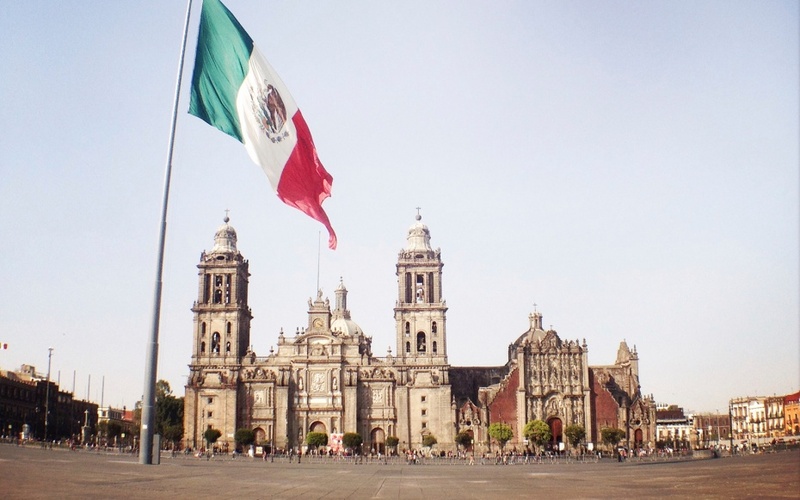 Mexico City: An emerging Honeymoon destination, Mexico City is the perfect combination of culture and temperate weather. Explore the Mexican art scene by hitting up the Museum of Frida Kahlo and the Anahuacalli Museum, shop for authentic gifts and treats at the Coyoacán Market, and end the night at the Downtown Hotel Terrace Bar for rooftop drinks. Mustique: Located in between St. Vincent and the Grenadines and Barbados, this tropical island getaway is your answer for ultimate relaxation and privacy, especially for those wishing to escape paparazzi. Enjoy beautiful temps year round (75 to 85 F on average) and luxurious accommodations in your own villa or stay at the ultra chic and romantic Cotton House. No visit is complete without horseback riding along the beach, sailing and diving the crystal clear Caribbean Sea. While your Honeymoon is a great excuse to kick back and relax, it's also the perfect opportunity to explore and take on unforgettable adventures with your new spouse. Danielle Tisser, a Chicago bride, spent parts of her Honeymoon in Australia and New Zealand, and sought out major thrills, like abseiling down a waterfall. "Wanderlust is inspiring folks to push themselves outside of their comfort zone -- I'm seeing a lot more adventure. Couples want to achieve something together," Danielle shared about trends she's seeing in Honeymoons. From jungle explorations to safari sunsets, there's plenty of adventure-filled Honeymoon options! Australia: Heading down under for your Honeymoon is a once in a lifetime vacation, and will take you on totally unique adventures. Danielle recommends snorkeling in the Great Barrier Reef and paddle boarding in the blue waters as fun activities to experience with your loved one. You can also cuddle with kangaroos and koalas at the Featherdale Wildlife Park in Sydney, or visit the Kings Park and Botanic Gardens for some gorgeous Australian views. Southeast Asia: MAE Bride Laura Gollehon's Honeymoon through Sri Lanka provided for some culture-based adventures, a trip she coordinated through the Sri Lankan travel agencies Aitkens Spence and Jetwing. Throughout her tour of the country, Laura experienced some truly amazing experiences, sharing with us her three favorite memories: climbing Sigiriya Rock and seeing the ancient kingdom at the top, touring a traditional village and dining on a home cooked meal of roti and sambul in Anhuradhapura, and embarking on an elephant safari in Minnieriya. "Our itinerary listed what every town was about and how it relates to the history and culture of Sri Lanka," Laura explained. MAE Bride Tracey Weber also went for an adventurous Southeast Asia Honeymoon through Thailand, going through Bangkok, Chiang Mai, Chiang Rai, and Phuket. Like Laura, Tracey also used a travel agency recommended by Team MAE to coordinate her Thailand travels, going through Trails of Indochina to design the perfect destination Honeymoon for her and her husband. "[Trails of Indochina] take the time to find you an English-speaking guide that's with you the entire time. They give you really great attention and answer all of your questions without having to be in a group of 15 folks," Tracey explained. They also coordinated all of her hotel bookings and perks, as well as ensuring private transportation for the entire stay. While she enjoyed her entire trip, Tracey highly recommends visiting the Northern parts of Thailand, especially the Golden Triangle, an area situated with three points in Thailand, Myanmar, and Laos. The Anantara Golden Triangle Elephant Camp and Resort is exactly as amazing as it sounds -- a beautiful resort nestled in the Chiang Rai portion of the Golden Triangle, along with an elephant sanctuary. "It's located along the Mekong River where it's lush and green, and you can look out from your balcony and see elephants roaming," Tracey reminisced on her stay at the Anantara resort. "It was our favorite part." *With so much to see and explore in Thailand, we recommend this thorough travel guide from Coworker! Africa: Another one-of-a-kind trip awaits you in Africa, an truly unforgettable Honeymoon destination. MAE Owner, Brianne shared her African holiday in MAE The Blog this past November. Take a peek into Brianne's travels to Botswana, Zimbabwe, Namibia and South Africa, including the Stellenbosch wine region. Brianne excitedly wrote, "There is a certain mystique traveling so far away and off the beaten path that we occasionally yearn for!" MAE's Tip: Using a travel agent for remote trips will help you fully prepare for the unforeseen accommodations you may need, such as a specialized itinerary, gear, private transportation, or safety information. We recommend Abercrombie & Kent or Travel Beyond, which both offer luxury for a great price. If you're looking for something more extreme, National Geographic Expeditions will take you on completely immersive journeys to destinations such as Dubai, Portugal, and Patagonia. For those movers and shakers, we couldn't agree more that a peaceful, laid back Honeymoon can be just as exciting as an action-packed getaway. There's also plenty of opportunity to go off-the-beaten path and visit a location that isn't your typical beach destination. Bermuda: Temperate weather and lush greenery make the island of Bermuda a quaint yet incredible destination for newlyweds. Visit the Crystal Caves to catch a glimpse of nature underground, or lay out on the gorgeous white sand beach at Horseshoe Bay. Make sure to try the country's signature cocktail, the Rum Swizzler, while enjoying the ocean breeze. Tulum: Another very popular destination in Mexico is Tulum. 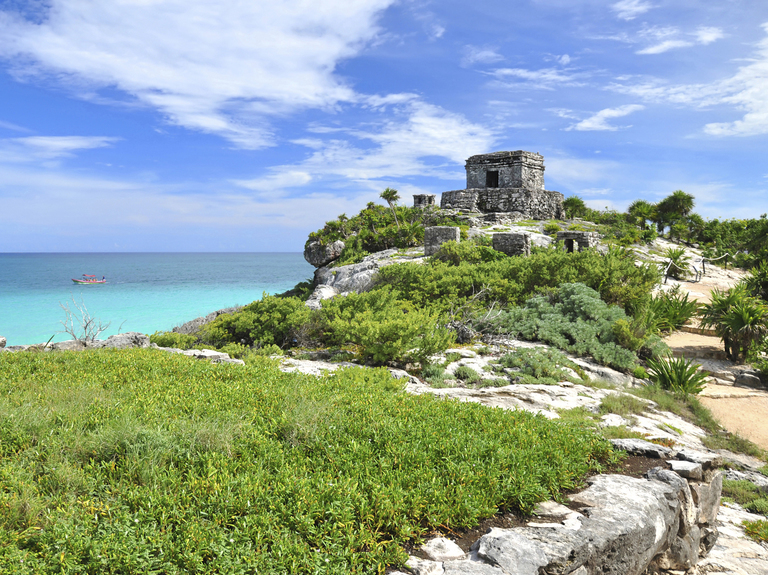 Located along the coast of the Riviera Maya, Tulum is filled with Mayan culture and beautiful clear water beaches. Check out The Mayan Clay Spa and go for their signature Mayan Clay treatment, another fabulous way to relax. Greek Islands: The Greek Islands are the perfect balance of relaxation and culture for a romantic Honeymoon. Submerge yourself in the amazing shopping on Matoyánni Street in the heart of white-walled Mykonos, soak in the famous sunsets of Oia in Santorini, and sail the day away on the laidback island of Hydra. Seeking a night out in a unique country? Plenty of destinations have a nightlife scene unlike anywhere else, offering the perfect opportunity to let loose and party like a rockstar in a foreign country! Brazil: Rio de Janeiro and São Paulo are the major cities of Brazil, and have some of the most exciting nightlife in South America. In Rio, visit the famous Copacabana area for beaches and nightclubs, or Santa Theresa for a more laid-back, hipster night out. For São Paulo, travel to the Centro district for a night out of dancing, and spend your day shopping around Vila Madelena. Argentina: An always exciting travel destination, Argentina will have you culturally immersed by day, and out on the town in the eve! The Museo Evita takes you on an intellectual tour of the life of Eva Peron, the famous First Woman of Argentina. If you're looking for something outdoorsy, there's the Iguazú Falls, one of the most iconic natural sites in Argentina. Once the sun sets, head to the Palermo Hollywood neighborhood of Buenos Aires for drinks, dancing, and unforgettable memories. Tokyo: This totally unique Honeymoon destination is the perfect combination of adventure, culture, and nightlife fun. 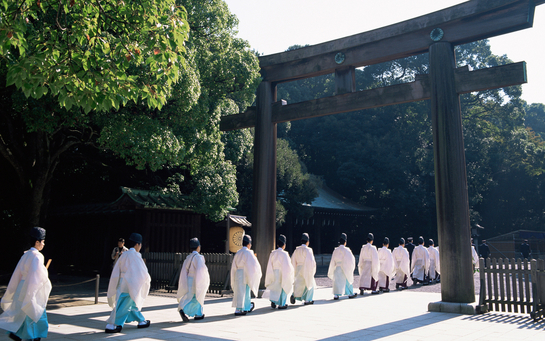 Stroll through serene nature at the Meiji Shrine, shop Japanese fashions at Beams, dine on traditional Japanese sushi, and then head out for cocktails at some of Tokyo's most eclectic bars. Immersing yourself in the culture of a foreign nation can be educational, inspiring, and romantic -- perfect for a destination Honeymoon! When considering a cultural landscape to explore, try researching off-the-beaten path. Europe is always an excellent option, but what about Vietnam, or Peru? Here are some suggestions for visiting a few cultural hubs of the world. Vietnam: Covered in lush greenery and amazing views, Vietnam is so much more than just the scenery. The primary city of Hanoi is lined with museums, temples, and other activities that showcase the history and traditions of Vietnam. 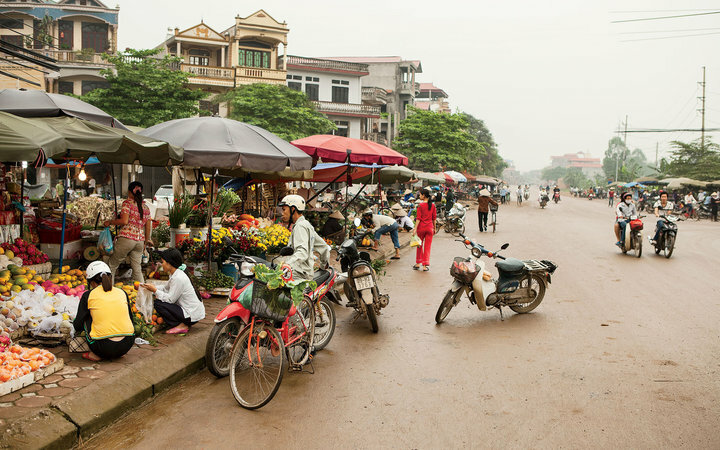 Travel + Leisure recommends the Vietnamese Women's Museum and the Ho Chi Minh Museum as must-visit destinations, along with stopping by the Vietnam Culinary School to learn how to cook a traditional Vietnamese meal. Peru: Home to the famous Inca civilization ruins at Machu Picchu, Peru also boasts some remarkable and culturally enriching travel experiences. Of course, visiting Machu Picchu is a major must, but you can also journey throughout the country and learn about the history of Lima through cuisine at the Lima Gourmet Company, sightsee in the colonial city of Cuzco, or tour the grand Santa Catalina Monastery. Italy: Italy offers a diverse selection of cultural activities that can take you all over the boot-shaped country. Florence, where you can find Michelangelo's David statue, is also home to one of the nation's most impressive cathedrals, il Duomo de Firenze. In Rome, take a tour of the historical Colosseum before heading over to Vatican City to take in the stunning architecture of St. Peter's Basilica and the iconic ceiling painting within the Sistine Chapel. Make your way through Tuscany and Umbria to drink wine, hang with the countryside locals and shop for handcrafted Italian leather goods and authentic cooking ingredients. Or go coastal and spend some time in the colorful seaside islands of Cinque Terre. Spain: Another traditional European cultural destination, Spain is filled with multiple city destinations to fulfill authentic experiences. Visit Madrid for Museo del Prado, a museum offering a collection of some of Spain's finest art, or catch a Real Madrid game at the historic Santiago Bernabeu Stadium. In Barcelona, Park Güell and Sagrada Família are essential to soaking in the beautiful architectural designs of Antoni Gaudí. Jordan Myers, a friend of Team MAE and working in Mallorca, Spain, also recommends additional hotspots throughout the country. "While Mallorca is the most beautiful island destination of Spain, I believe that couples would enjoy Granada, Alicante, or Altea - all extremely beautiful places that are accommodating to even those who don't speak Spanish. If a couple is more adventurous, they may choose to venture to Northern Spain and hike in the mountains," Jordan suggests for honeymooning couples. For some couples, finding a country that has a Zika-free atmosphere is essential. Thankfully, there are plenty of beautiful and unique destinations that accommodate this need. Although they are a bit closer to home, the ambiance and landscape of these locations will still provide for the perfect romantic Honeymoon backdrop. Neighbor to the North: Many Canadian cities, such as Montreal and Quebec City, are famous for their undeniable European vibe. Cobblestone streets, locals speaking French, and gorgeous architecture provide for a unique, out-of-the-box experience. Visit some of Montreal's historic museums to get a taste of the culture, or head to a wine tasting along the St. Lawrence River. California: Napa Valley is the perfect, picturesque getaway for a newlywed couple. Rolling hills, famous wineries, and hot air balloon rides offer a nice balance of adventure and relaxation. Couples could also work their way through California to historically hilly San Francisco, or travel through to the beautiful parks in Big Sur. Whatever your destination, we wish you an extraordinary journey that is fun, fabulous and safe! To see how Marquette Avenue Events can help you plan an unforgettable Honeymoon and, most importantly, assist in bringing your dream wedding come to life, please visit us at www.marquetteavenueevents.com or call us at 312-585-7265. For The First Man We Ever Loved!